That mischievous duo is at it again and their never-ending rivalry is fueled by some of animation’s most adorable characters in Tom and Jerry: Pint-Sized Pals. Spike the bulldog is at his most intimidating when he’s with his precious pup, Tyke. Several adventures featured on this set, including Hic-cup Pup, Pup on a Picnic, That’s My Pup and others; feature the lovable Tyke and his over-protective dad, as they become entangled in Tom and Jerry’s endless pursuit. Nibbles, the perpetually hungry little mouse, re-emerges in several cartoons including Mice Follies, where Nibbles and Jerry turn the kitchen into an ice-skating rink, and again in The Two Mousketeers, which won an Academy Award for Best Short Subject: Cartoons. Tuffy, another precious and precocious little orphaned mouse, is Jerry’s pal throughout a set of Hanna-Barbera-directed classics, including Little School Mouse which is featured on this set. Another favorite little pal is Quacker, the sweet baby duckling who mistakes Tom for his mother in That’s My Mommy. Quacker appears in several cartoons, including Happy Go Ducky, in which Tom’s Easter egg surprise yields more than he bargained for when it hatches and Quacker emerges. In Southbound Duckling, Quacker is determined to fly south for the winter and in Just Ducky, Jerry teaches Quacker how to swim. Over the past 2 or so years I have done a few reviews of Tom and Jerry DVDs and I am so happy I got to review this one as well because I love Tom and Jerry cartoons. This collection Tom and Jerry cartoons are fantastic and such fun. I absolutely enjoyed every minutes of watching these 2 DVDs. If you are a fan or your child is a fan I highly reccomend buying Tom and Jerry: Pint Sized Pals. 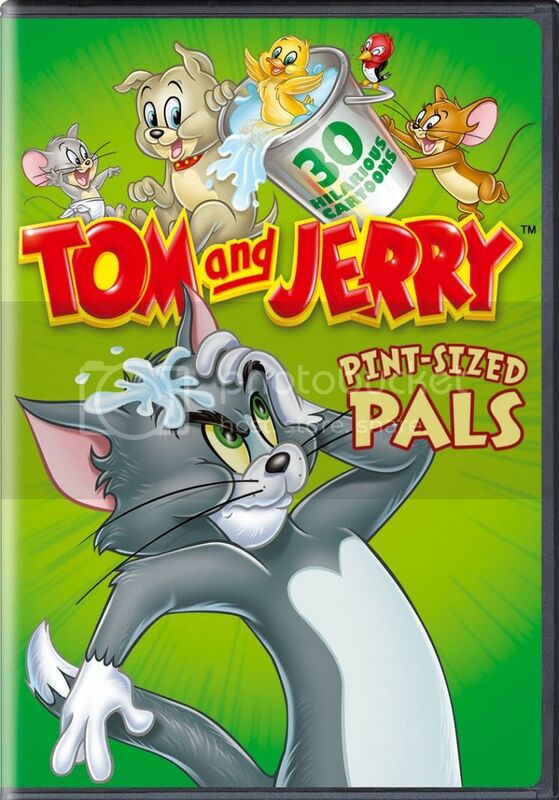 Tom and Jerry Pint-Sized Pals is now available in stores.